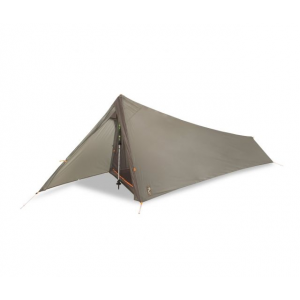 Designed with extensive input from professional hunting and fishing guides, the Nemo Equipment Spike 1P Tent is an ultralight backcountry shelter for trips where saving weight is crucial to trekking long distances. 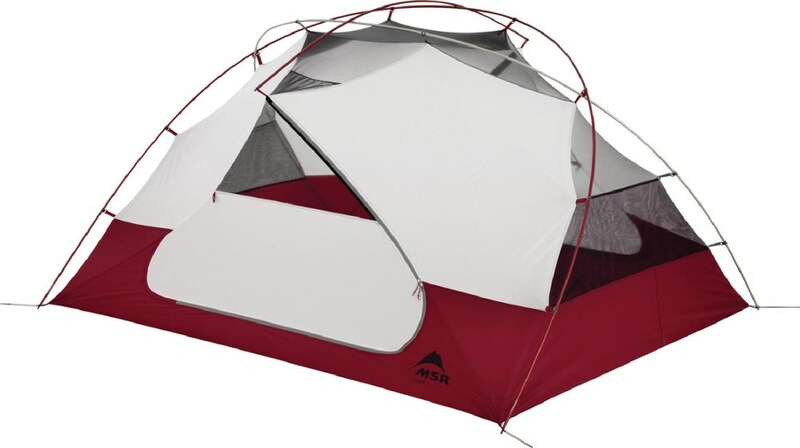 This shelter weighs less than a pound in its most basic form, barely taking up any space in your pack. 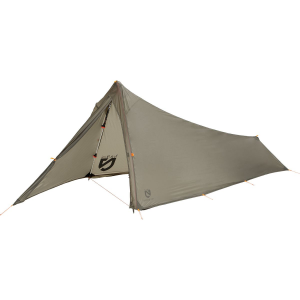 It's surprisingly sturdy for such a lightweight shelter, courtesy of 40D nylon ripstop fabric propped up by two of your trekking poles (not included). 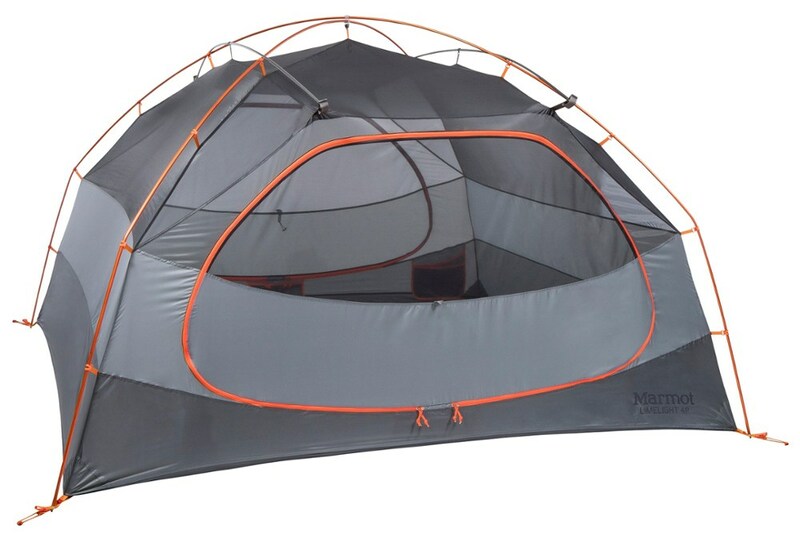 The PU coating provides excellent water-resistance against oncoming showers and storms, ensuring you stay nice and dry inside. 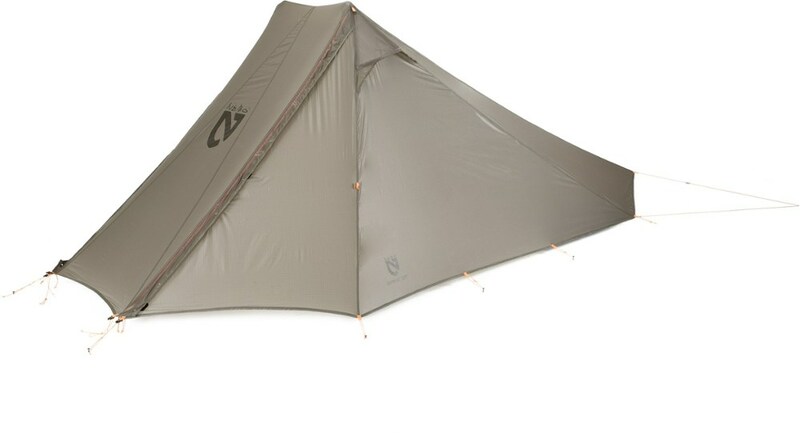 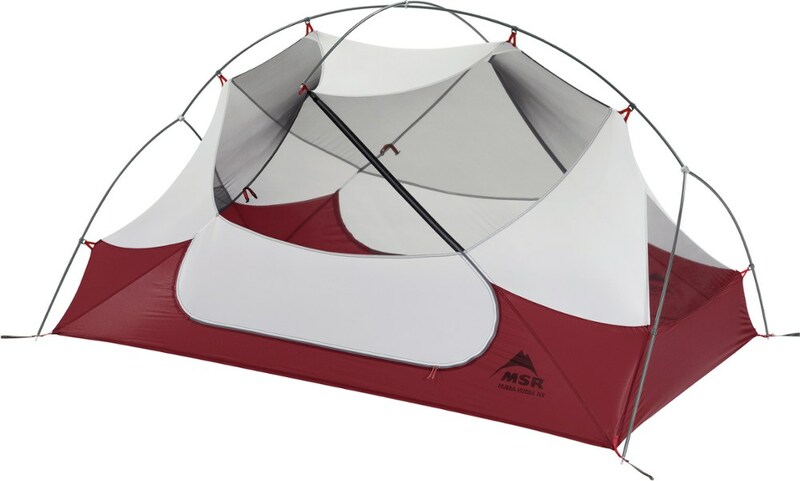 A minimalist shelter for the fast-and-light thru-hiker, the floorless Nemo Spike 1P tent has a minimal trail weight of less than 1 pound and virtually disappears when packed away. 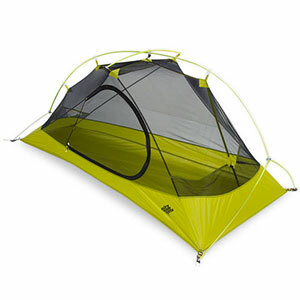 Nemo Camp & Hike Spike 1P Trekking Pole Tent - 1 Person 2 Season-Stalker 814041017220.